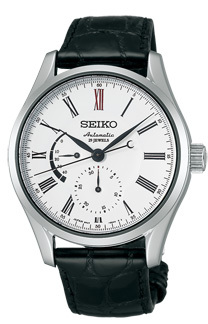 A few weeks ago Seiko announced a pair of limited edition watches for the 100th anniversary of the first Seiko wristwatch, the Laurel. 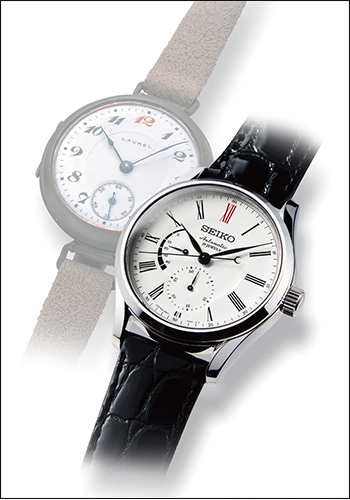 These Presage limited editions have fired enamel dials in white with a red XII, in a nod to the 1913 Laurel wristwatch. Think of this as a Credor Eichi on a budget. The first model is the SARW005 with power reserve, and date indicator at six o’clock, using the 6R27 movement. This will retail for JPY105,000 with tax (about USD1230). The other is the SARX011, a simple time-only automatic with date. Inside is the 6R15 movement. The retail price will be JPY84,000 (which is USD985). American watchmaker RGM has just unveiled the 801 Corps of Engineers featuring a fired enamel dial and a design modelled on railroad pocket watches, as well as an American made movement that may be inspired by the Swiss.